In the run up to this year's Waddington International Airshow much was made of the Vulcan's participation and the planned formation flypasts with the Breitling Team and the Red Arrows. I must confess that I too felt that was an important aspect to cover in my Airshow preview on this website. However now as the dust has started to settle I have personally taken time to reflect on the real importance of the Airshow and what it really is all about. This was in part due to the organisers briefing that was given at the press day on July 2nd and a meeting I had with Carl Harding during the press preview. During the Press Briefing it was highlighted that the Waddington International Airshow is able to take place thanks to the thousands of hours of volunteer effort that is put in by the base personnel. 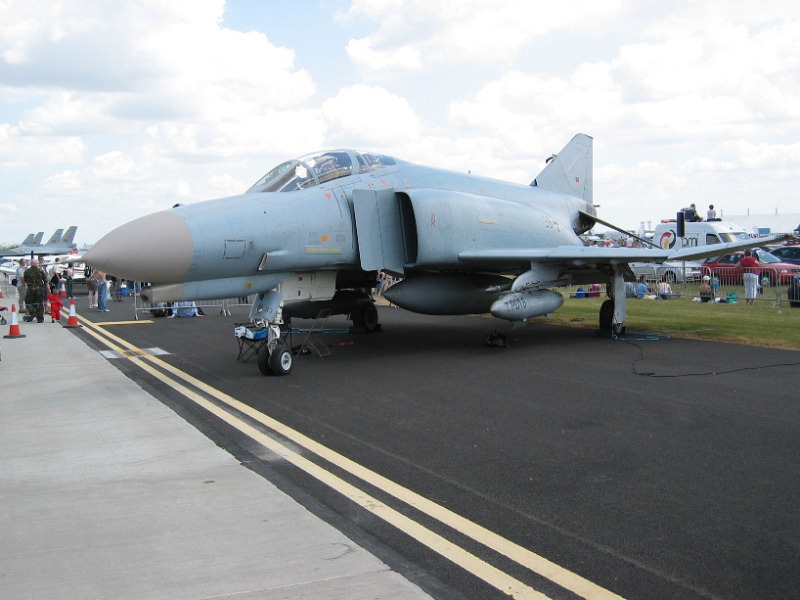 Perhaps the 'enthusiasts' should reflect on this point before they bemoan the lack of this aircraft type or that Air Force - so thank you to all of the volunteers at Waddington for helping to make the Airshow happen each year. During the same briefing the organisers went to great lengths to explain that one of the main RAF Charities to benefit from the airshow was the Royal Air Force Benevolent Fund [RAFBF]. 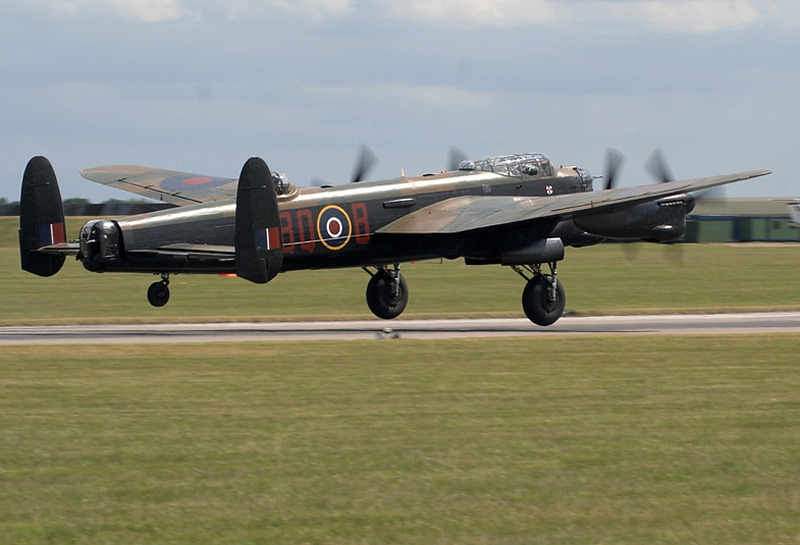 What's more this year the RAFBF is celebrating its 90th Anniversary. What really inspired me to briefly focus on the RAFBF were the words of Sqn Ldr Carl Harding, RAF Regiment [Rtd]. Carl suffered a severe spinal injury in a road accident, which left him fighting for his life and eventually left him unable to walk and in wheelchair. 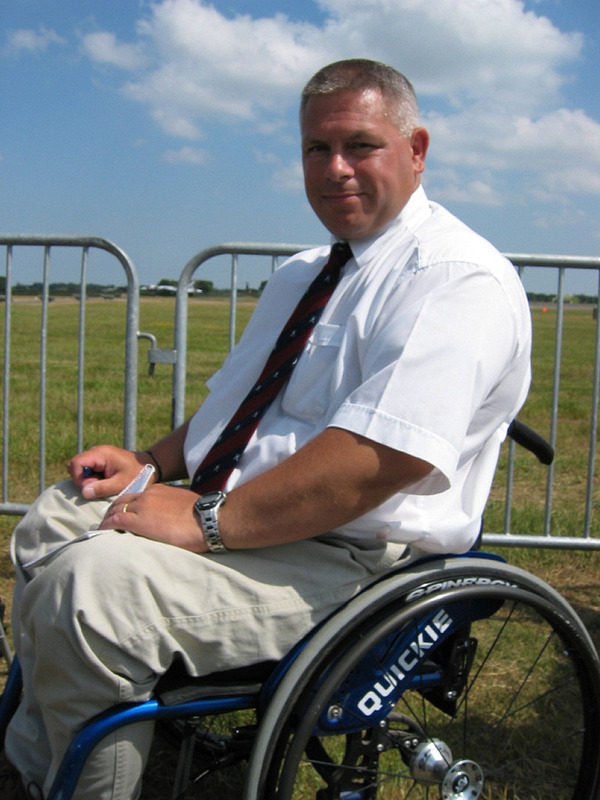 The RAFBF helped both Carl and his family come to terms with their drastically changed circumstances and he now acts as an advocate for the RAFBF and he spends a lot of time promoting their role and fund raising events. 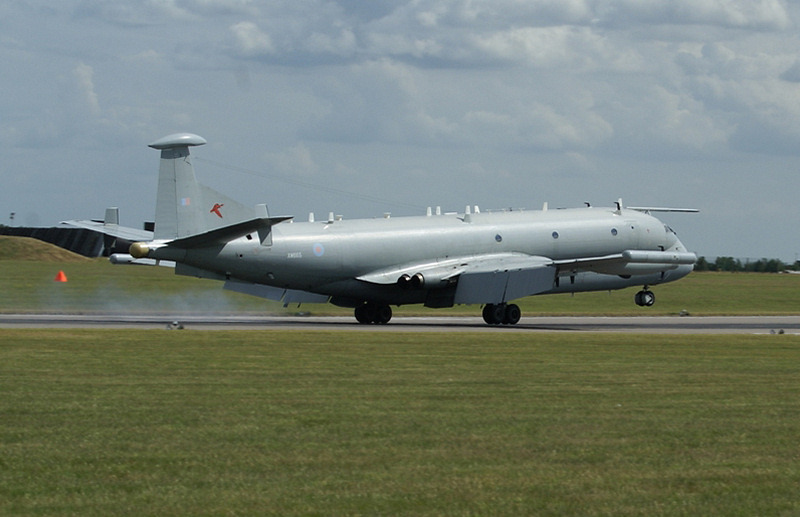 In doing this role at RAF Waddington this year Carl spoke the following simple yet evocative words whilst urging people to report on the RAFBF's activities, which for me says everything - "Look through the hardware to see the people!" Although some were disappointed during RAF Waddington airshow weekend as the recently restored Vulcan bomber was unable to fly because it's Permit to Fly had expired, there were still a wide range of interesting aircraft to make up for its absence in the flying display, which saw the largest two day attendance of 170,000 people at the airshow since it began. 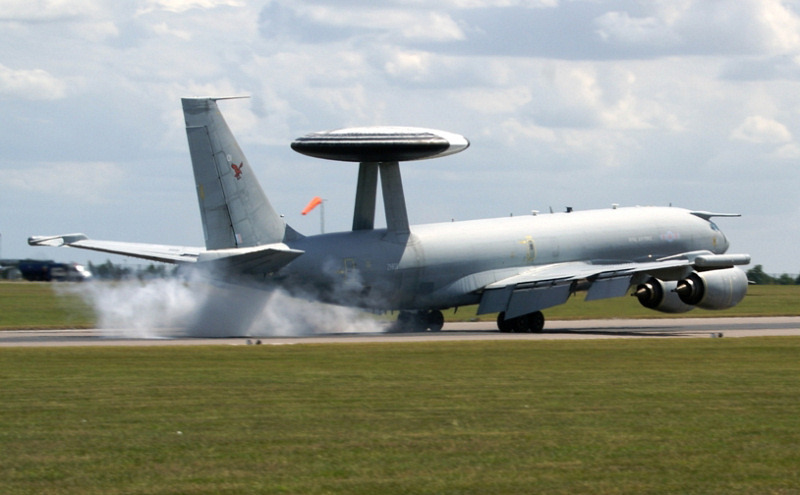 Early on Saturday morning it was announced to the crowd that the Vulcan would not be flying. You could sense the disappointment from the crowd and XH558 was later towed on static display in a slot on Alpha dispersal which had been left free. There was anger amongst some members of the crowd as the Vulcan had now only flown on 1 day of the 4 at this and last years airshows', but hopefully the paperwork issues that have haunted her this time will not do so in the future or at other airshows in the coming months. 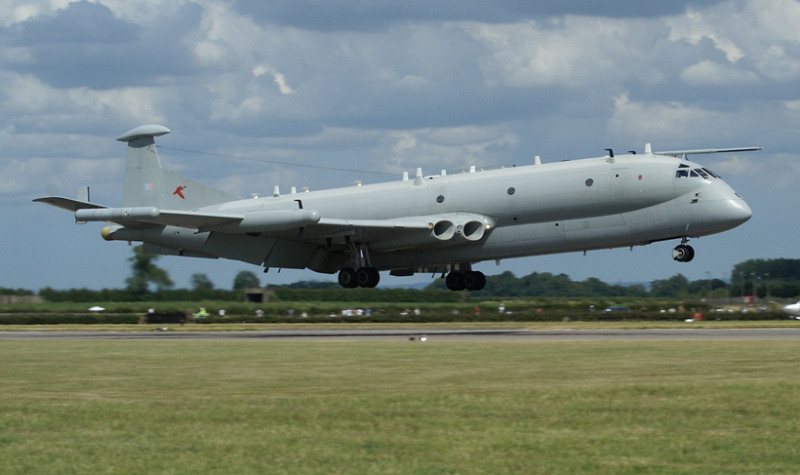 The show started off with flypasts from the aircraft based at RAF Waddington, the E-3D Sentry, Nimrod R1 and Sentinel, with the Sentinel performing a short take off with a steep double spiral climb, before going into the hold. 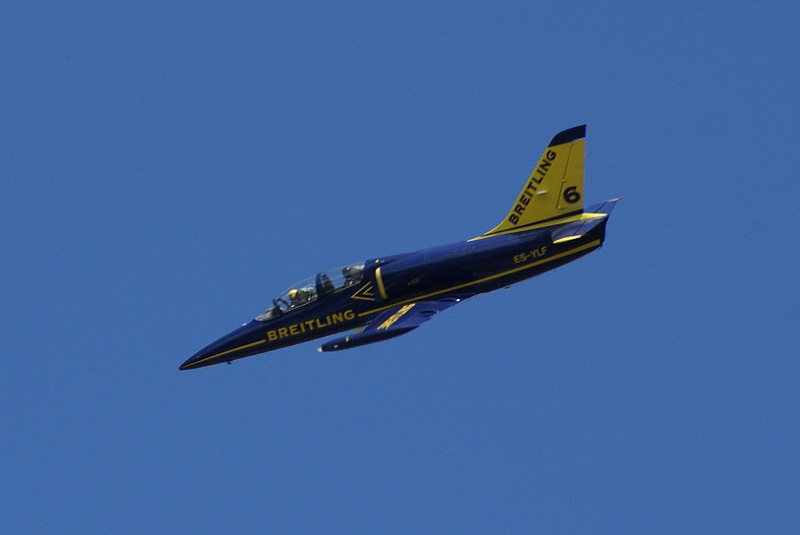 The aircraft then performed flypasts, opening the show. They were followed by the RAF Falcons, who performed a drop from an RAF Chinook instead of the usual Hercules due to their operational commitments. These jumps contribute to some of the qualification jumps required to become a trained parachute instructor. 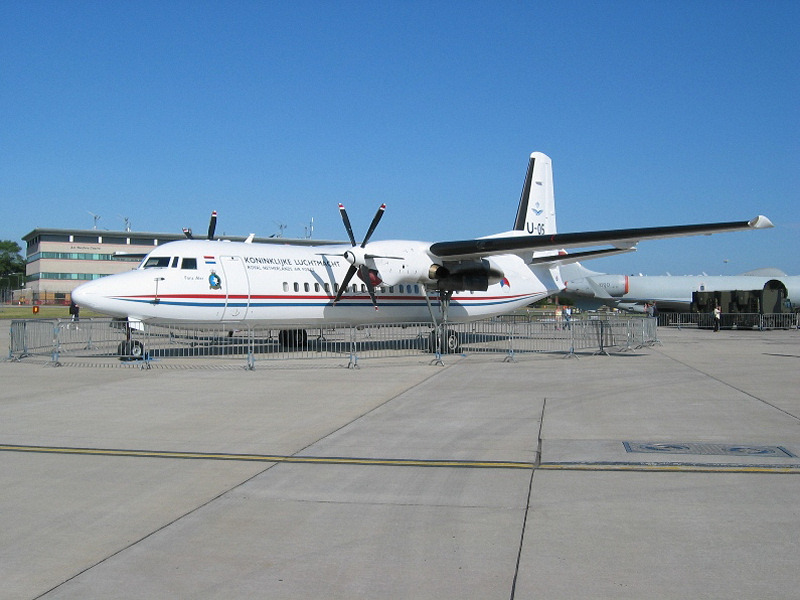 This training is often hard to perform due to limited airframe availability, so displaying at an airshow although enjoyable, is also extremely important for training purposes. The Chinook used also displayed in its own right later in the day, with its usual range of adventurous manoeuvres which wowed the crowd and showed the full capabilities of the type that is so often seen as symbol of the war that British forces are fighting in Afghanistan. The Red Arrows displayed without the Vulcan as was being predicted, but their stunning array of acrobatics still wowed the crowd. 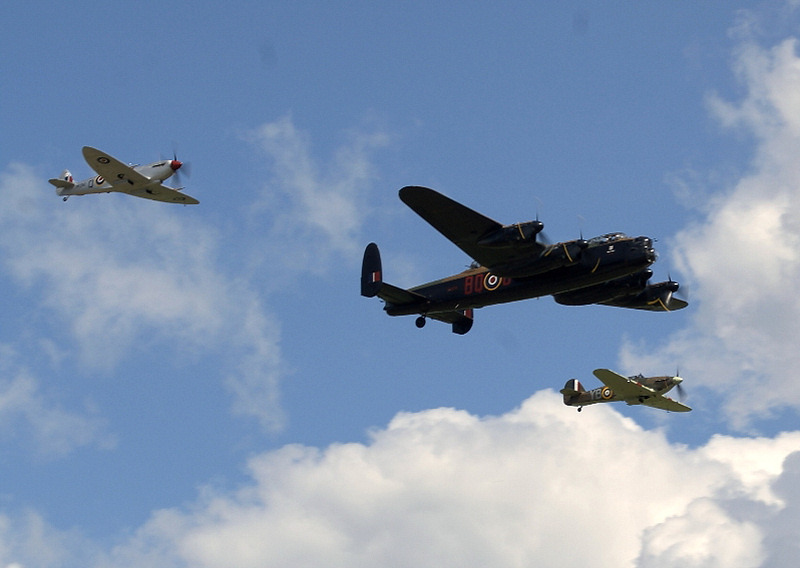 The BBMF also displayed with the Lancaster, Spitfire and Hurricane (winning the best flying display prize with their performance), adding to the RAF contingent at the show. 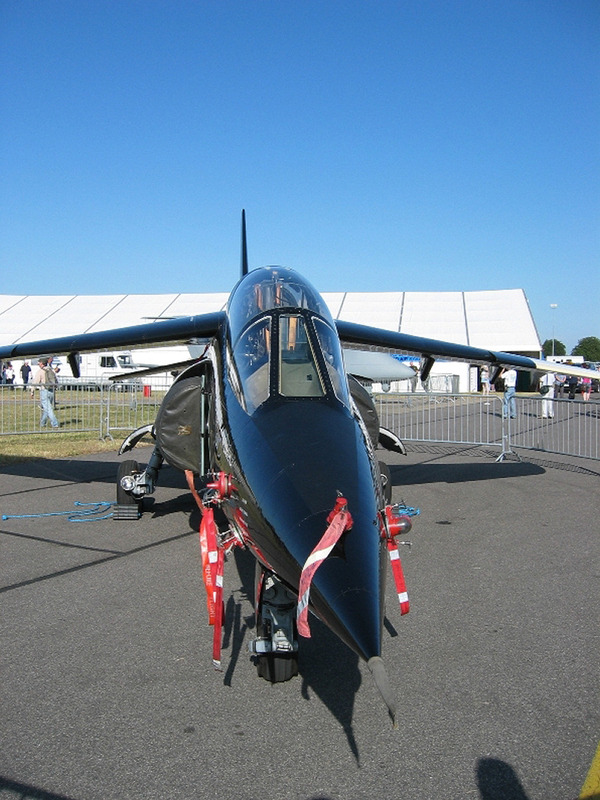 These along with UK civilian acts such as the Blades seemed to make up the bulk of this years show. 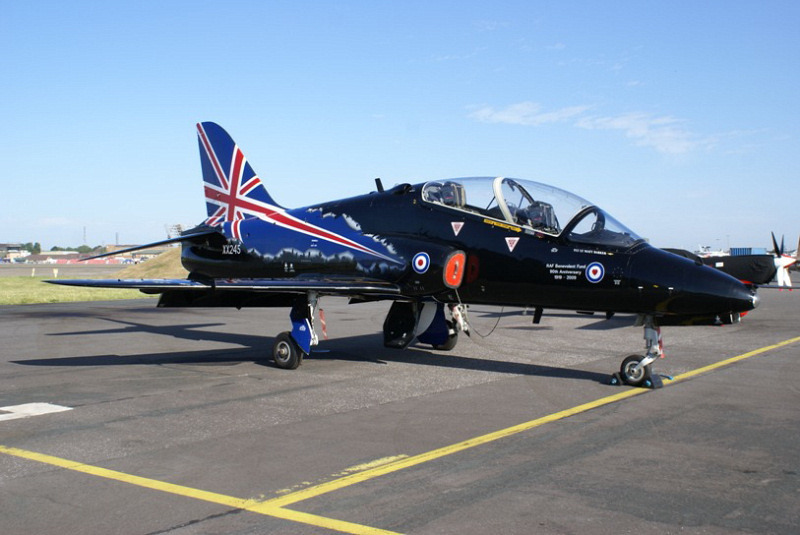 The RAF Hawk display was excellent as usual with a scheme - chosen by the display pilot Flight Lieutenant Matt Barker - which commemorates the 90th Anniversary of the RAF Benevolent Fund, with their special heart logo on the underside of the aircraft. The RAF Tutor and King Air displays were a delight to watch along with the Typhoon which performed one of the most crowd pleasing displays with all eyes to the skies as she soared - rather loudly - through the air. 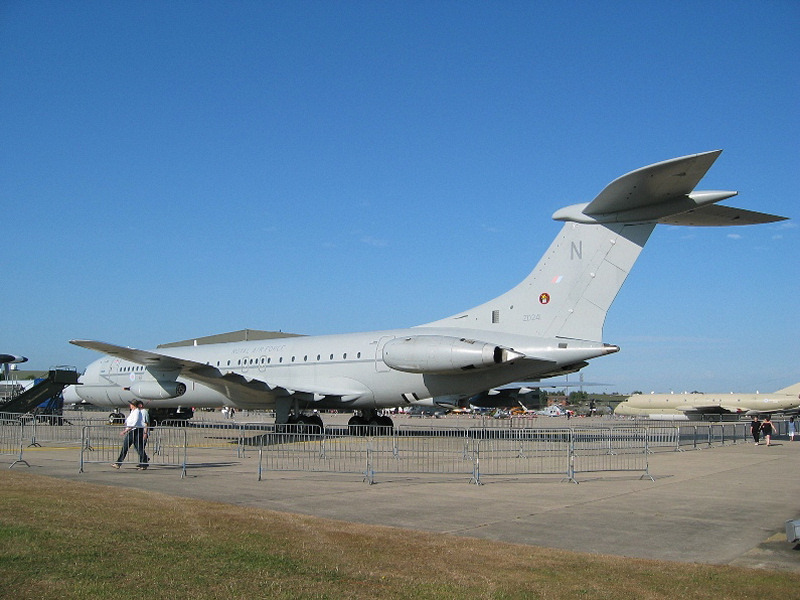 There was a fly-through by an RAF Tristar on both days, an aircraft rarely seen at airshows, along with a VC10 in the static display. 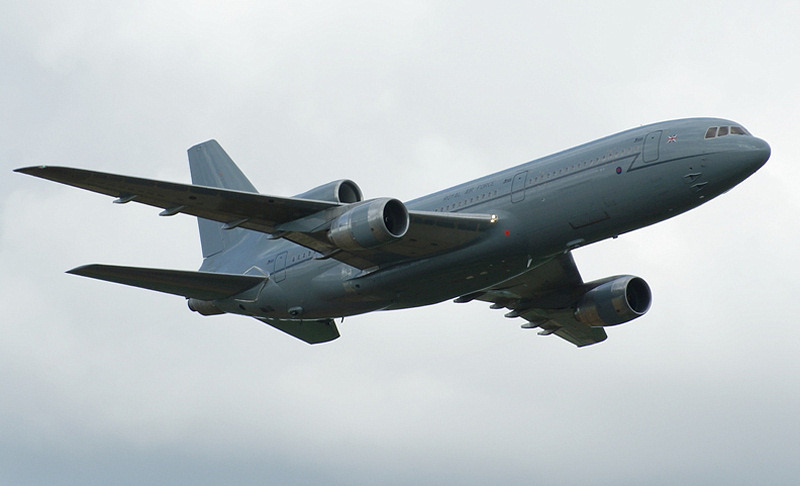 These aircraft from RAF Brize - Norton were welcome additions to the show and may soon become even rarer as they are phased out when the A330 is introduced as the RAF's new tanker aircraft. 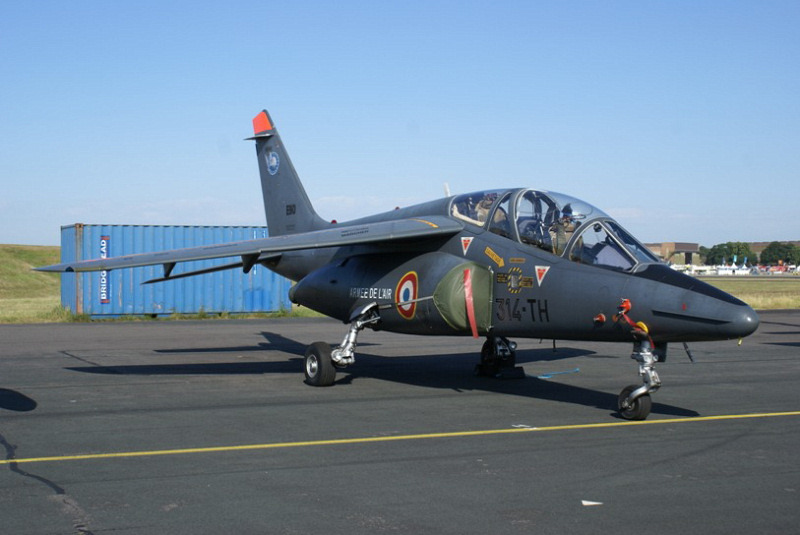 Classic aircraft such as the Vampire T11, AN-2 and Team Viper (comprising 4 Strikemaster aircraft) also showed off their skills. The Navy and Army also contributed to the display with the Army Air Corps displaying in the form of the Blue Eagles with an Apache and Lynx dancing in the skies. 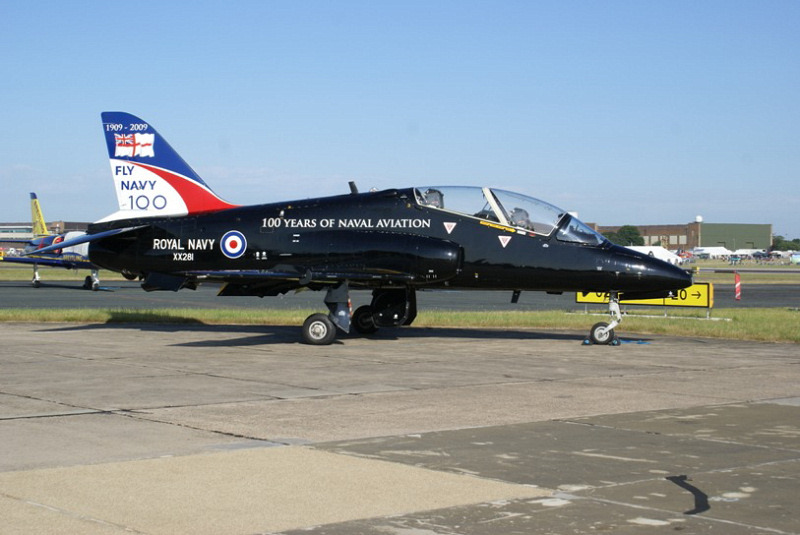 The Navy performed with the Award Winning Cobham Falcons displaying with 4 Hawks, which had special 100 years of Naval Aviation tail schemes. A highlight of the display for many was where the Hawks acted as “missiles” launching from the Falcons. 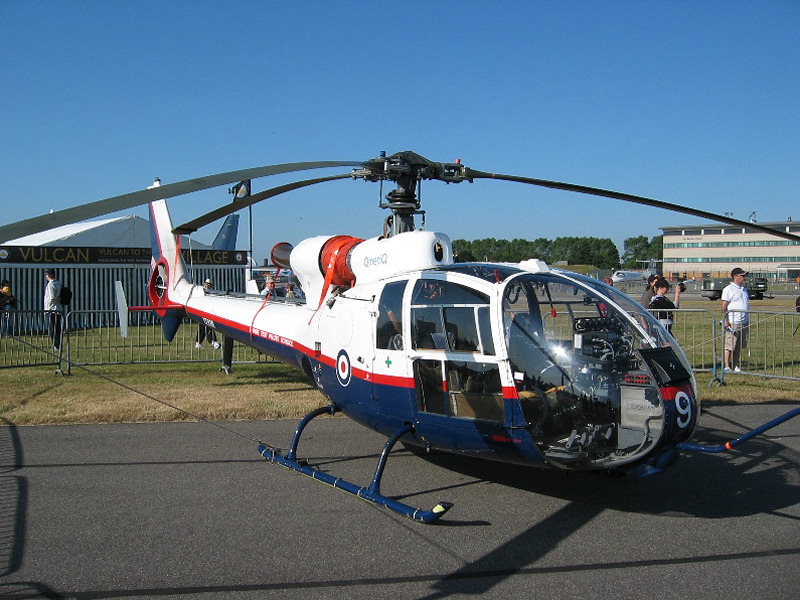 A Royal Navy Lynx also performed. 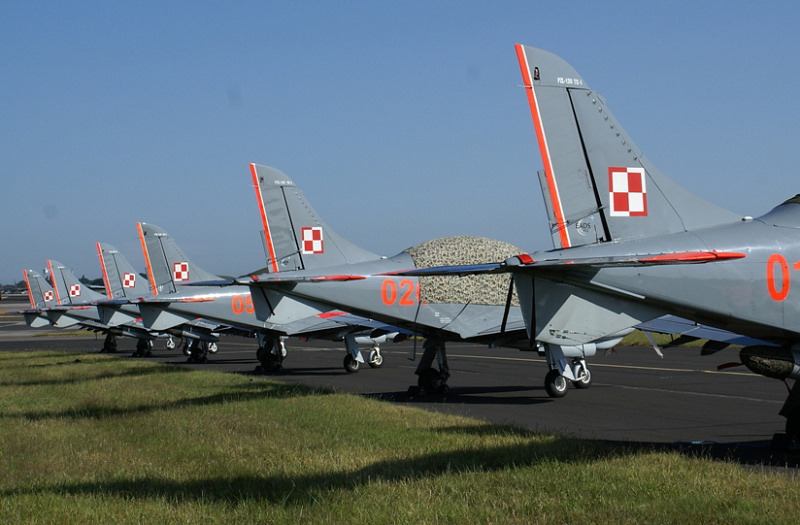 The flying appeared to be somewhat lacking foreign participants which in this 60th year of NATO was expected, however, Team Orlik from Poland did provide an excellent display along with some Belgian Alpha Jets who briefly displayed, as well as a French Alpha jet. The French civilian display team - Team Brietling - who were due to display with the Vulcan also flew an excellent display in their colourful L-39 Albatross jets. 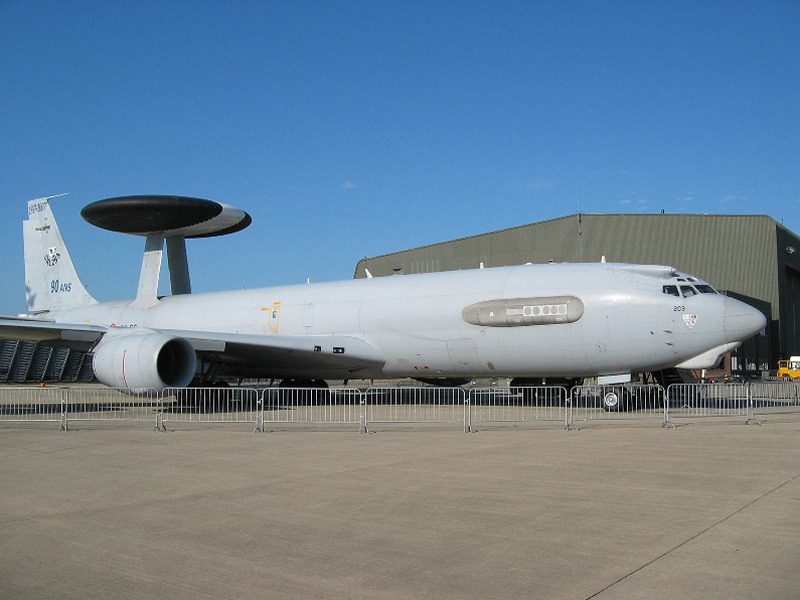 Foreign participants included an Austrian Hercules, American KC-135 and F-15's as well as a French E-3F AWACS. 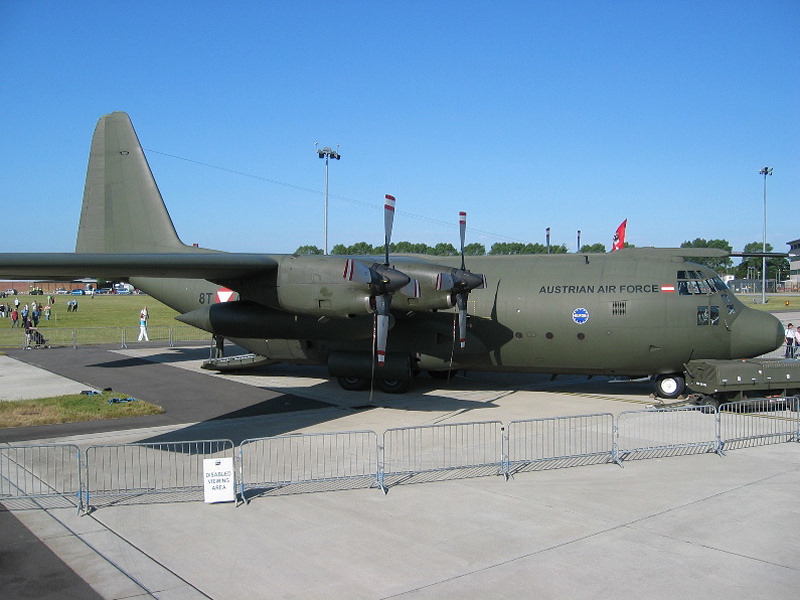 An AN-26 from the Czech Airforce and a C21 from the USAF were other nice foreign additions to the show. 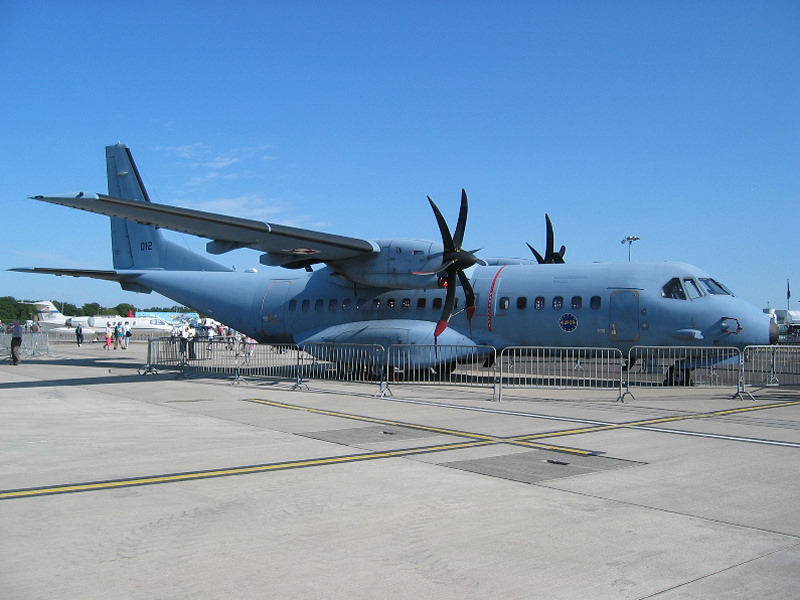 Clashes with other European airshows seemed to have hampered the participation of the majority of European aircraft. 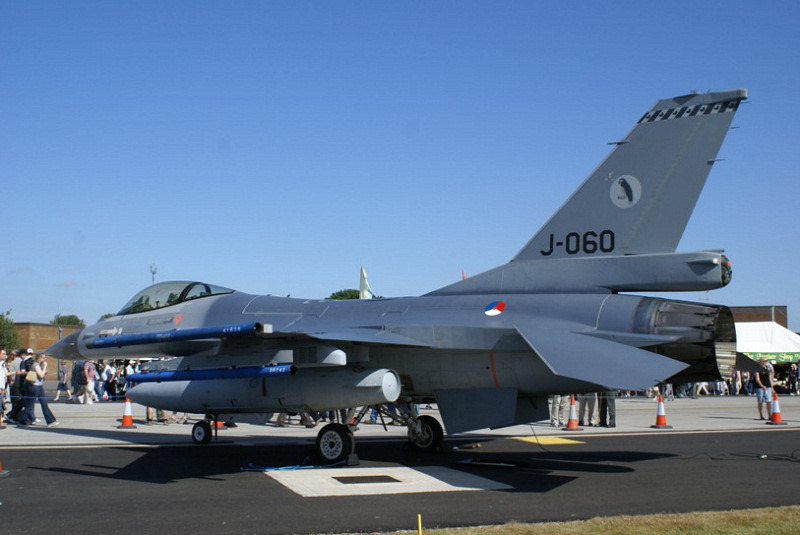 However, some F.16 fighters from the Royal Netherlands Air Force and Royal Norwegian Air Force were present to boost the numbers. 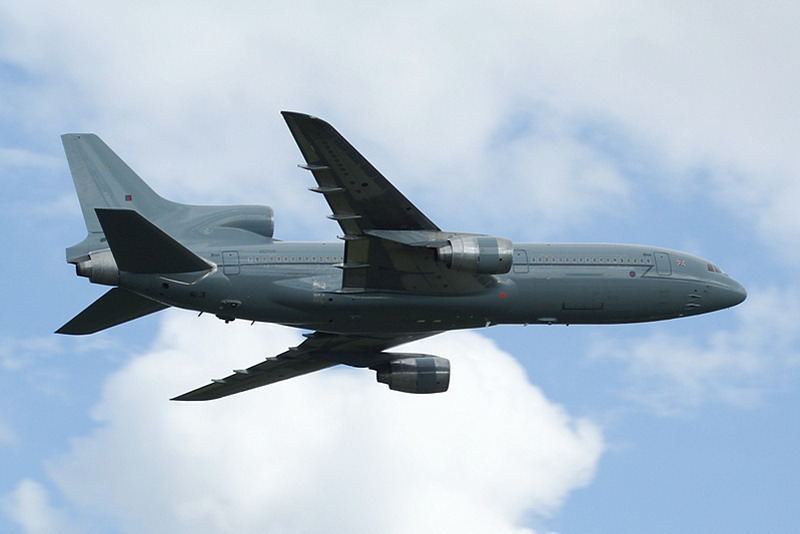 The money raised from the airshow all goes to charity, such as the RAF Benevolent Fund. 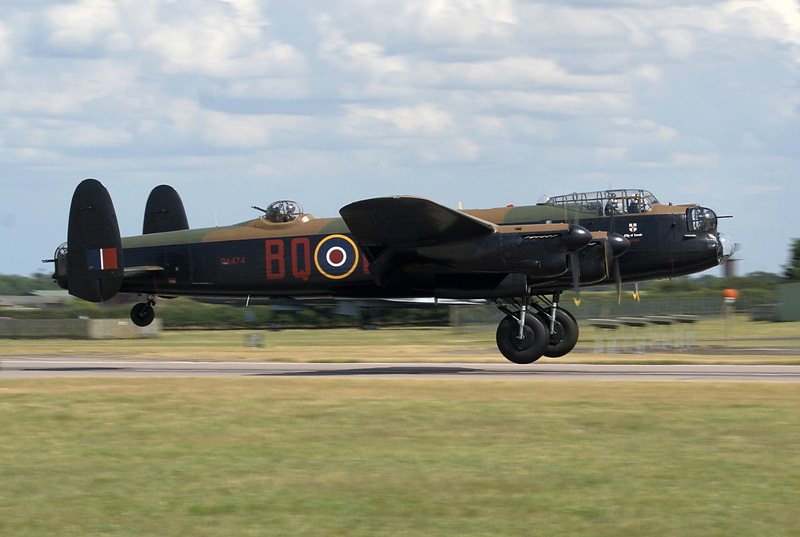 The show was tinged with sadness as two RAF serviceman had died during the week preceding the show when a Tornado F3 crashed while on a training sortie reminding us of the need to support shows like Waddington so that the money can be raised to go to the RAF Benevolent Fund. They will be involved in helping to support the family of the servicemen who died, as well as for those who are currently serving or who have served with the RAF. Their role is “to ensure that every member of the RAF family has access to the right support whenever needed”, such as by building childcare and sports facilities at RAF bases and funding support for married couples in the RAF to help keep their relationship strong. It also involves looking after the needs of servicemen and their families if the serviceman is injured in any way. Their job provides support for personnel as well as reducing the fear that they may be alone if something awful did happen to them or their loved ones. 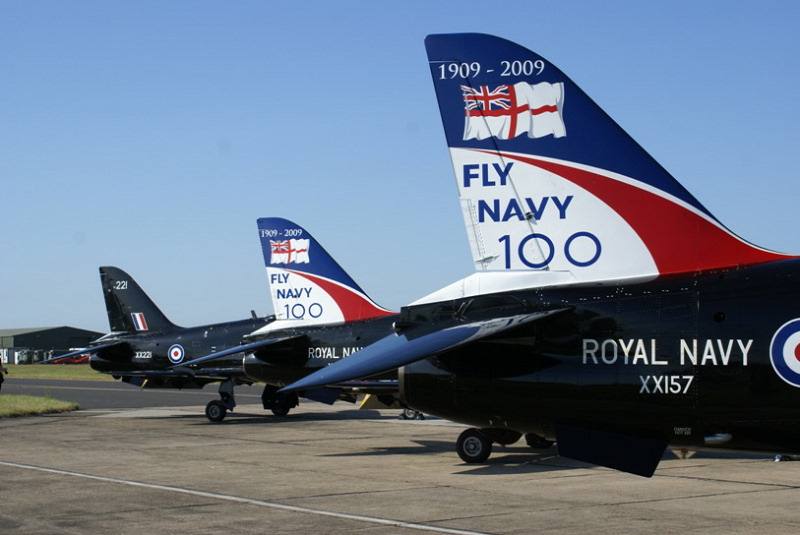 The RAF also uses the airshow to show the opportunities available for young people to get active within their community. A display was put on at the airshow in Hangar 5 to demonstrate the range of youth organisations children of Lincolnshire could become involved in. There were displays from local schools as well as drama and musical groups. 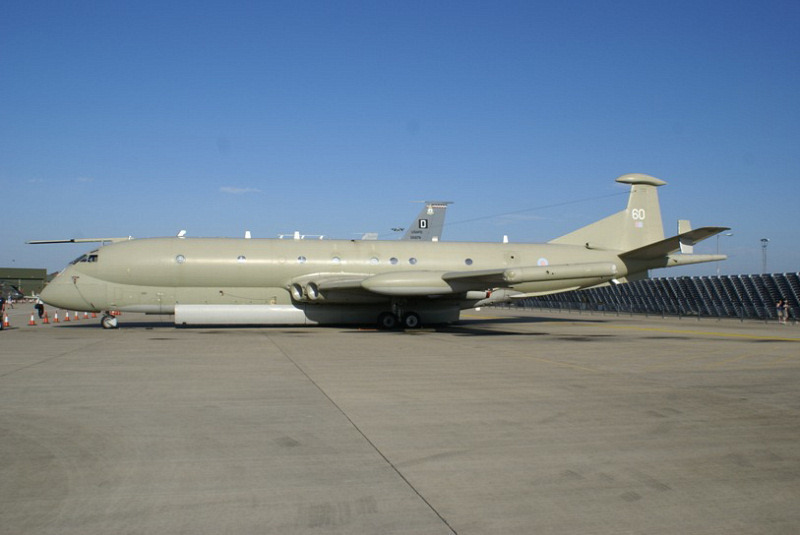 The events in the hangar were sponsored by Edmund Nuttall Limited - a civil engineering company. They provide high quality, cost effective options for their clients in the public and private sector on large and small projects. Other groups such as the Scouts, Guides and Lincolnshire Fire and rescue team were present. Sporting teams as well as the RAF Engineers were present who demonstrated the wide range equipment that they can use. All in all, it was an exciting place for young people to visit. 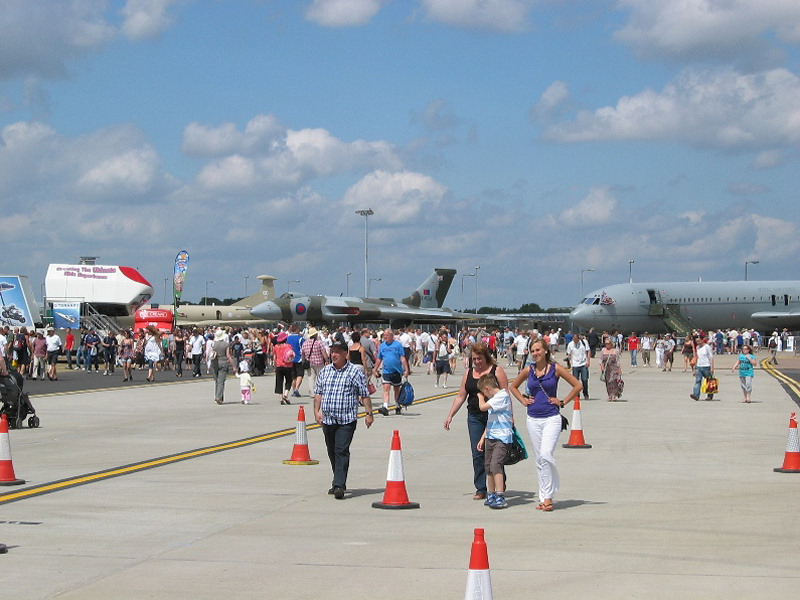 So although this year's show lacked its star performer, there were still a wide variety of aircraft at the show for all to enjoy, and hopefully next year we may see the Vulcan go to the Sky above Waddington for the eyes of the public again. All photograph copyright / credits: Howard Heeley & Nick Heeley.